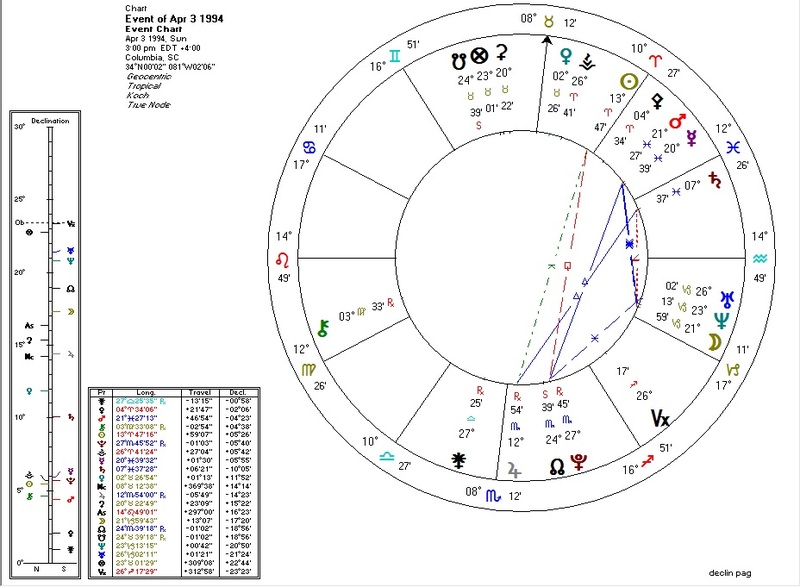 Some astrology for the accused perpetrator of last week's Charleston church shooting. As yet, we don't have a birth time for him. 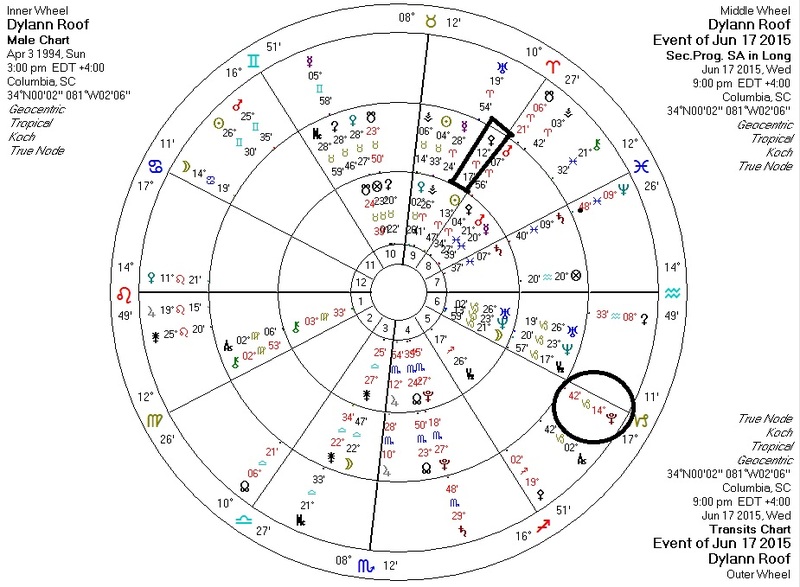 I am taking the liberty of proposing a birth time of around 3pm, which would put Pallas in the Eighth (weakening the ethical structure even more than already indicated) and Jupiter and the North Node in the Fourth (which would be consistent with race-based ideology). There may be other possible times which would generate similar effects, but this is the lowest-hanging-fruit. 1. Pallas in the Eighth House trine Pluto, ruled by Mars which is trine Pluto. 2. Neptune widely square Venus and sextile Mercury, ruler of Second House. 3. Pluto widely quincunx Venus and trine Mercury, ruler of Second House. 4. Pluto in Fourth House. There is always a transiting Pluto-to-Pallas trigger on the charts of spree killers when they go off. Here we have transiting Pluto square progressed Pallas. The vast majority of persons with these natal chart features and undergoing this type of transit do not commit murder. We as a society can reduce the number of these incidents by fostering a gun-friendly culture (so that victims can shoot back, thereby dis-incentivizing mass shootings by making them more dangerous for shooters) and by increasing public awareness of the dangers of psychoactive pharmaceuticals (nearly all mass shooters take them -- before this type of drug was common there were few mass shootings).